Learn how to write a starter relay is easy. 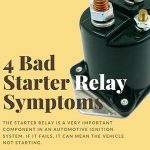 You only need a few wiring tools like a pair of pliers, spanners, some wires of appropriate gauge, and a little technical know-how of how the starter relay operates. In simple terms, the starter relay uses the minimal current from the ignition switch circuit to induce an electromagnetic force inside the relay’s coil winding. 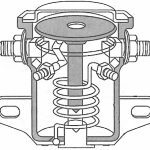 The electromagnetism produced moves an armature to complete a circuit that delivers a large current from the battery to the starter motor and the starter solenoid. In this light, the starter relay should have four terminals. Two to cater for the large amperage from the battery to the starter solenoid, and the two that receive the low amperage from the ignition switch circuit. Looking at a T&X® starter relay above, these terminals are highly visible. There are two big bolted metal studs sticking out of the relays casing and two small ones. The bolts help secure the wire connectors into place. Some starters will have three terminals only, two big ones and one small terminal. This is no problem because one of the two small terminals is always the ground wire to connect to the car’s body. 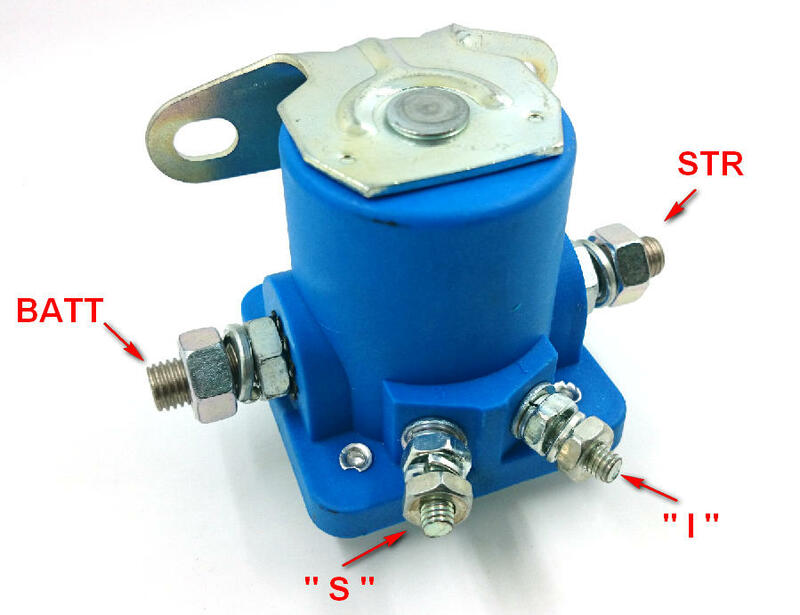 When the starter relay is mounted, the bolt securing it acts as the earth connection. Before beginning, make sure the cable connected to the positive terminal of the battery is disconnected and securely out of the way to avoid electrical accidents. Start by mounting your starter relay in the appropriate position. The relay usually comes with extensions to its casing with openings through which to slip mounting screws. If it doesn’t, finding a way to mount it should be easy. Next, locate the wire that goes to the starter solenoid and connects it to one of the big terminals on the starter relay. It doesn’t matter which terminal you use, just choose one of the two. Make sure the wire is firmly fixed by tightening the nut on it. This wire will be carrying a high current to the starter solenoid and should be of the right thickness. If there’s no wire already connected and you have to use yours, make sure you connect it to the terminal marked S on the starter solenoid. Find the thin pair of wires from the ignition switch circuit. Connect one of them to the smaller metal stud terminals on the starter relay. This is the wire that will be carrying low current from the ignition circuit to the coil winding of the starter relay. It’s, therefore, not very thick. If there’s another small terminal, connect the other small wire to it. In case the starter relay has 3 terminals only, connect the thin wire to one of the bolts that secure the relay to the body of the car. Or just anywhere, provided it touches the casing of the starter relay. This is the ground wire, and the negative battery connection, so it can connect anywhere on the body of the car. Finally, find the wire leading the positive terminal of the battery. 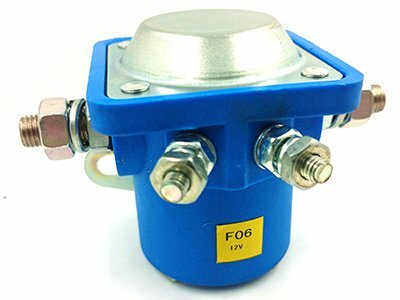 Connect it to the remaining big terminal on the starter solenoid. If the wire is not available, use yours and connect it to the positive terminal of the battery. Use the right gauge for the wire, because it will be carrying a large current from the battery. Your wiring is now complete. In the end, you need to test your starter relay wiring, to see if it’s right. Get into the driver’s seat and switch on the ignition circuit to see if the engine cranks and comes to life. If the engine starts without any problem, you’ve wired your starter relay correctly.